During those weeks between the holidays at this time of year, a crunchy, fresh salad with a wintery undertone is just what we crave. The Waldorf Salad may be traditionally made with apples, but we love it with the soft, seductive sweetness of ripe pears. 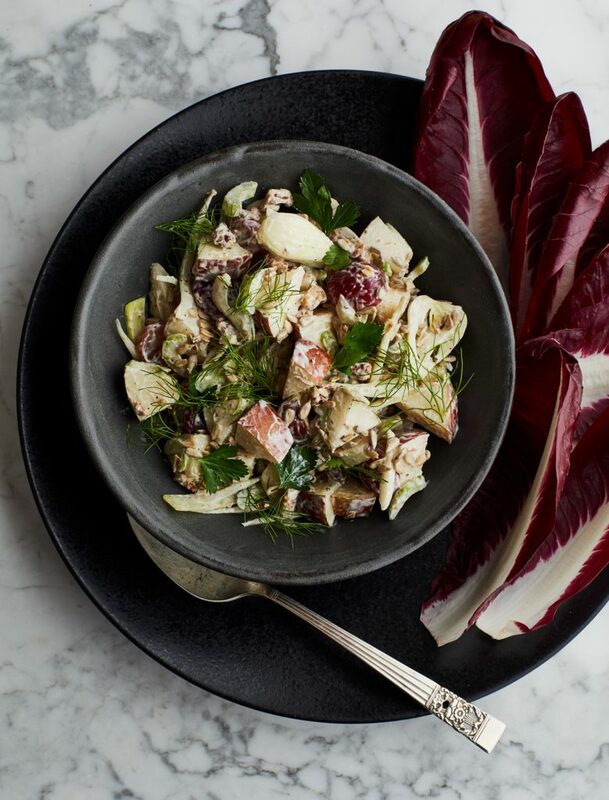 Instead of gloppy mayonnaise, we toss crisp celery and fennel, toasted walnuts, grapes, and those succulent pears with Greek yogurt for a tangy take. Fresh herbs and sunflower seeds add texture and a modern feel. Serve the salad spooned into butter lettuce or radicchio leaves, or scoop it up with warm pita bread for a light and simple lunch. In a large bowl, combine the pears, fennel, celery slices and leaves, grapes, walnuts, and parsley leaves. Add the yogurt, lemon zest, salt, and pepper and toss again. Taste and adjust the seasoning. 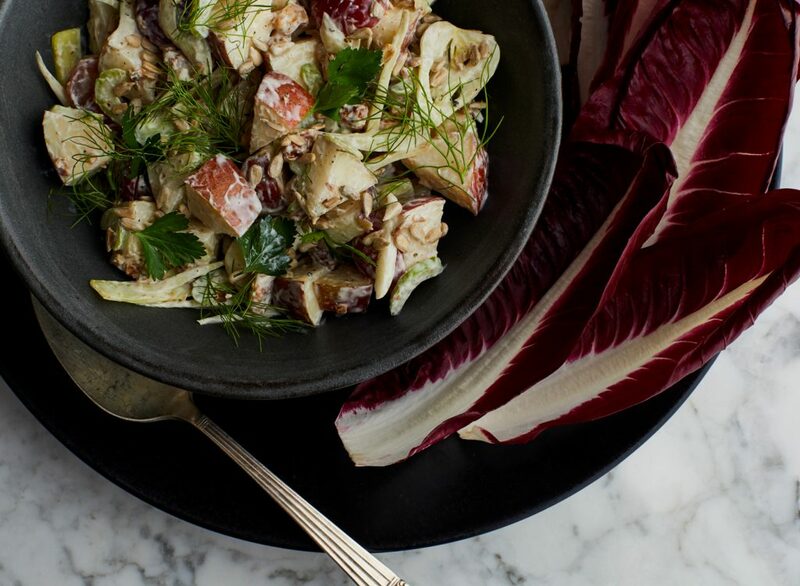 Transfer the salad to a serving bowl, garnish with the reserved fennel fronds and the sunflower seeds, and serve. This entry was posted in Food and Drink Recipes, Holidays and tagged Anjou, holiday dishes, holidays, pear recipe, pear recipes, pear salad, recipes, salad, winter by Andrea Slonecker. Bookmark the permalink. Andrea Slonecker an award-winning cookbook author and food stylist based in Portland, Oregon. 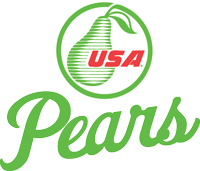 Her books cover a range of food and beverage topics, including pears: watch for her Short Stack Editions Pears booklet, filled with 20+ original sweet and savory pear recipes, coming out in Fall of 2017.